Attendees gather around the arena where the ceremony will take place. Family has gathered from all over Indonesia’s vast archipelo. 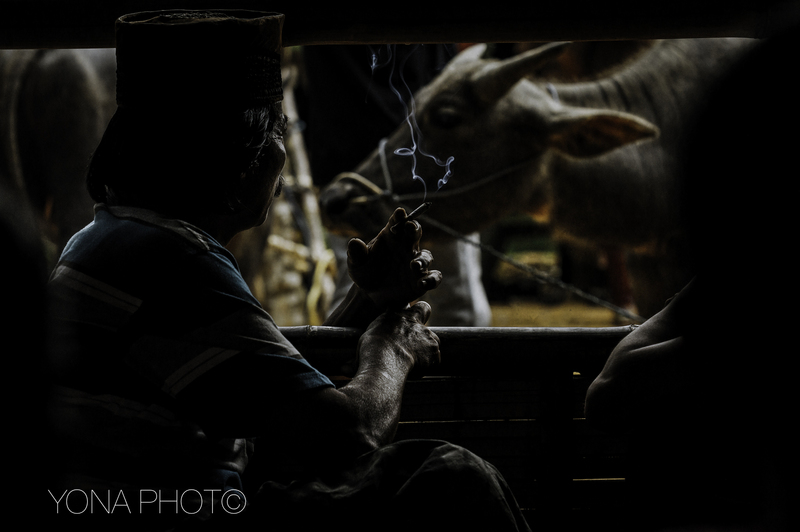 In Toraja society, the funeral ritual is the most elaborate and expensive event. The richer and more powerful the individual, the more expensive is the funeral. In the aluk religion, only nobles have the right to have an extensive death feast. The death feast of a nobleman is usually attended by thousands and lasts for several days. A ceremonial site, called rante, is usually prepared in a large, grassy field where shelters for audiences, rice barns, and other ceremonial funeral structures are specially made by the deceased family. The ceremony is often held weeks, months, or years after the death so that the deceased’s family can raise the significant funds needed to cover funeral expenses. Another component of the ritual is the slaughter of water buffalo. The more powerful the person who died, the more buffalo are slaughtered at the death feast. Buffalo carcasses, including their heads, are usually lined up on a field waiting for their owner, who is in the “sleeping stage”. Torajans believe that the deceased will need the buffalo to make the journey and that they will be quicker to arrive at Puya if they have many buffalo. Slaughtering tens of water buffalo and hundreds of pigs using a machete is the climax of the elaborate death feast, with dancing and music and young boys who catch spurting blood in long bamboo tubes. Some of the slaughtered animals are given by guests as “gifts”, which are carefully noted because they will be considered debts of the deceased’s family.